Environmental scans are a great way to maximize your company’s potential. An environmental scan is the gathering, use, and monitoring of the company’s environment, internal and external, to detect potential threats. Environmental scans cover everything from casual discussions to formal programs of market research and organizational planning. Environmental scans maximize a company’s potential by allowing the company to: effectively manage risk, identify threats and opportunities, and gain a competitive advantage over others. Conducting an environmental scan is a five-step process. Step one is to identify the organization’s needs and issues and understand the purpose and objectives of the scan. This step includes determining the amount of time and resources that will be allocated to the scanning process. Step two is to gather the relevant information. 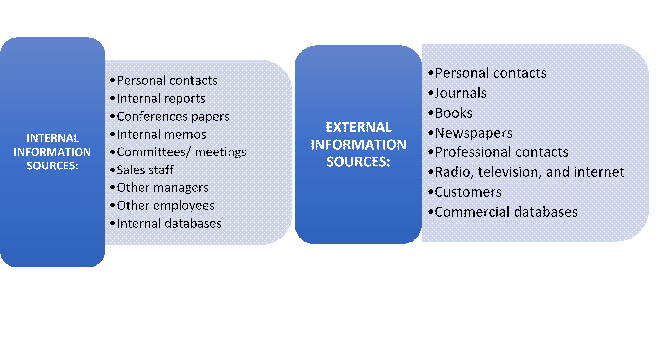 When conducting an environmental scan, look to both internal and external sources for information-gathering. The chart provided below offers some illustrative examples of both internal and external sources, but should not be considered an exhaustive list. Step three is analyzing the information gathered during step two. Success at this step requires keeping an open mind and being open to criticism. Depending on the size of your company, you may also consider hiring a professional data analyst. After the information is analyzed, it’s time for step four: communicating the results. During this step, you will need to identify key decisionmakers in each department. The results of the scan should then be communicated to these decisionmakers. And, finally, step five: making changes. At this step, all decisionmakers will be required to develop a list of proposed changes based on the information from the environmental scan, as well as a realistic timeline for deployment of these changes. Change is difficult and decisionmakers and executives should be prepared to counsel any unhappy or confused employees. Ultimately, environmental scans are a fantastic way for your company to understand it’s strengths and weaknesses and use that knowledge to improve itself. If you have any questions about conducting an environmental scan, please contact us.